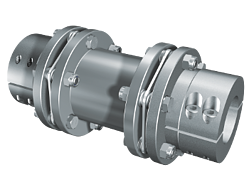 Couplings are not the most critical part of plants but they have to meet continuously changing requirements. Being reliable, efficient and robust is no longer enough – they should be easy to maintain in order to reduce costs and to avoid downtime. So for choosing the right coupling its characteristics in regard to maintenance and repair are playing a more important role. Drive systems are equipped with torsionally stiff as well as flexible and highly flexible couplings. Gear couplings are comparatively maintenance intensive, because they have to be lubricated at regular intervals. One typical failure involves gear teeth damage which in most cases is a result of a lack of lubrication. Defective seals, incorrect lubricants, impermissible temperatures, speeds or misalignments can cause such damage. 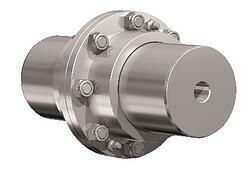 Steel disc couplings are maintenance-free, and, if correctly designed, hardly subject to wear. However, mounting the coupling requires great effort as far as the bolting of the steel discs is concerned.  Unexpectedly occurring operational-related misalignments, inexact alignment due to incorrect installation, temperature influences or aggressive media in the environment can cause the discs to break. 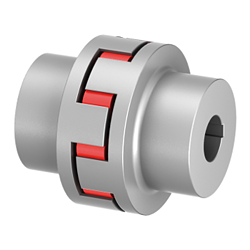 Flexible and highly flexible couplings are preferably used when torque peaks have to be cushioned and vibrations damped. They are pluggable and this simplifies installation. In addition they require comparatively little maintenance: routine checks and the replacement of elastic elements at regular intervals are the only requirements. They are considered long-life products, even though they are subject to ageing which alters their properties over time. For this reason, the wear of elastic elements in flexible or highly flexible couplings has to be monitored. Depending on the material of the elastic elements, ambient conditions of the storage and operating locations can alter their lifetime. Extreme air humidity as found in tropical regions or hot steam can adversely affect the usability and properties of elastomers. For this reason, the maintenance intervals must be adapted to the prevailing operating conditions. Soft Skills: Are engineers equipped for the technological transformation?